SkedGo offers flexible white label solutions in the routing and trip planning space. We are also particularly keen on MaaS (mobility as a service). If you are looking for a professional partner in these areas, give us a shout. We currently provide white label services for a major Australian Telco, offering a trip-planning app customised to their staff’s needs. Another of our clients is a large multi-national cooperation. 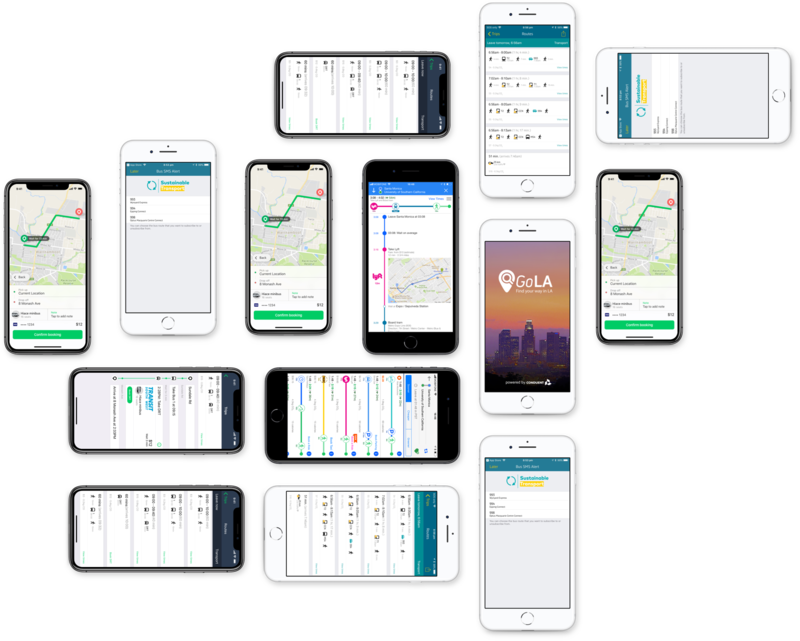 They use our services to provide city specific trip-planning apps in the United States, in collaboration with local councils. We also recently created our own white label: RioGo, which is a spin off of our TripGo app. RioGo won an international award and is one of the official trip and event planning apps of the City of Rio de Janeiro for this year’s Olympics. Our senior development team offers tailored solutions leveraging our unique API. The result: organisations can seamlessly and rapidly integrate mixed/multi model transport services, parking, book & pay features, events and itineraries. There is no need to re-invent the wheel. Take advantage of our unique technology and back end. Save money and resources by customising an existing product. We do all the research and development for you. Peace of mind for you as we always keep our technology up-to-date. Flexible branding and customisation options to suit your needs. We also provide tech support to make sure your clients are happy. Optus needed a solution helping their staff get to work in an efficient and environmentally friendly manner. We delivered a custom app, also integrating their own shuttle services. Talk to us on how we can help you provide world-class routing technology to your clients.